Caption slip reads: "Photographer: Lapp. Date: 1957-07-25. Reporter: Copeland. Assignment: Los Feliz overpass. Special Instructions: Monday. 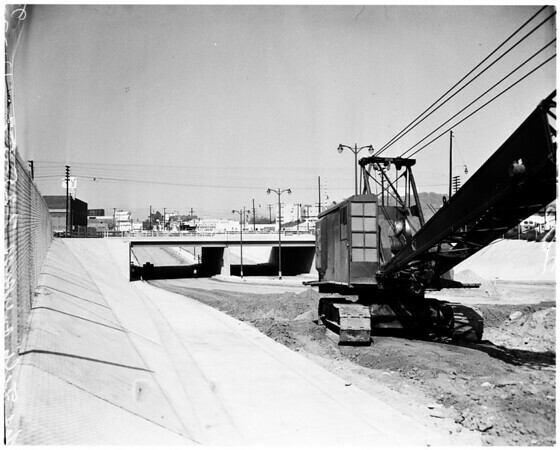 13/14/23/24/55/56: Los Fliz overpass near San Fernando Road -- nears completion".